How to Care for Aging Parents, which was first published in 1996, is now completely revised and updated, providing everything you need to know about the medical, legal, practical and emotional issues of caring for an aging loved one. This third edition includes the most recent research and recommendations, as well as information on the latest “aging in place” technologies, a new chapter on fraud, and hundreds of vetted resources. Also new are worksheets to help you organize medications, schedules, documents, and contact information. 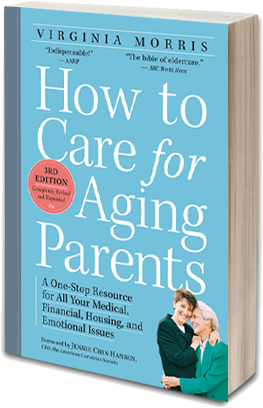 From having that first difficult conversation to arranging a funeral and dealing with grief—and all of the important issues in between—How to Care for Aging Parents is the essential guide. Oprah, The Today Show, The CBS Morning Show, Good Morning America, Primetime, ABC World News with Diane Sawyer, Katie, NPR’s The Diane Rehm Show, and a host of other national media.